Description: A free customizable electrical plan template is provided to download and print. Quickly get a head-start when creating your own electrical plan. 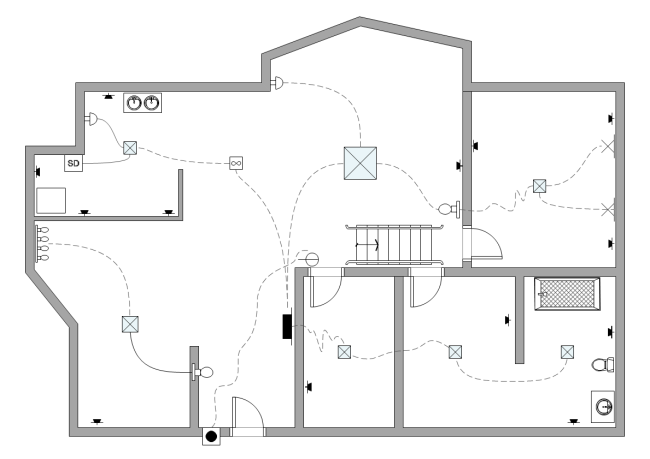 With all the shapes drawn and designed with editable feature, you can have high level electrical plan quite easily.